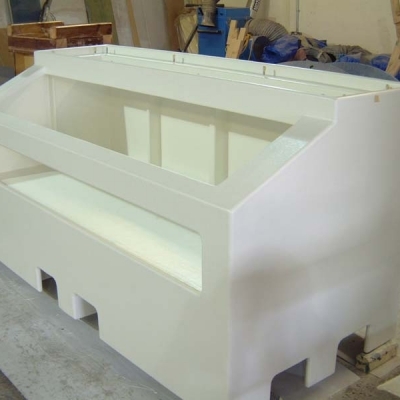 Using advanced pre-fabrication techniques and skilled installation teams ATL are able to build tanks in very constricted locations making them the ideal choice for additions to existing laboratories and research centers. 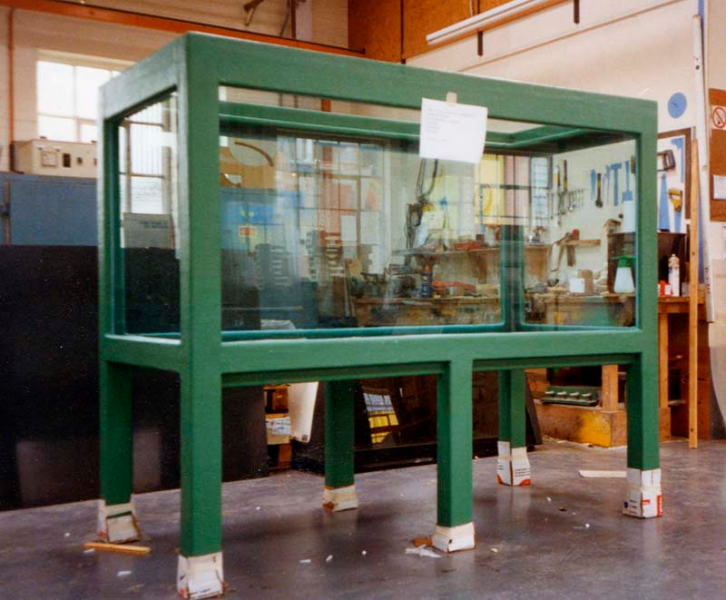 Our bespoke public display cases in both acrylic and glass are designed and manufactured to order and offer solutions for galleries, exhibitors, interactive specialists, advertisers and interior designers. 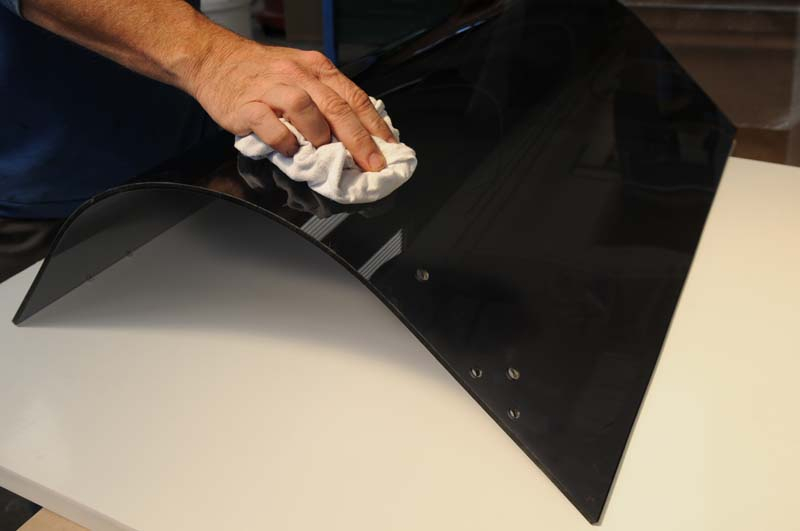 When only the best will do you need to turn to ATL’ s unparalleled experience and reputation in building bespoke products designed to do the job properly. 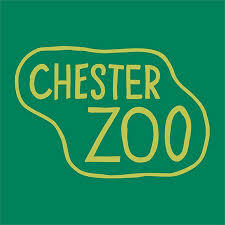 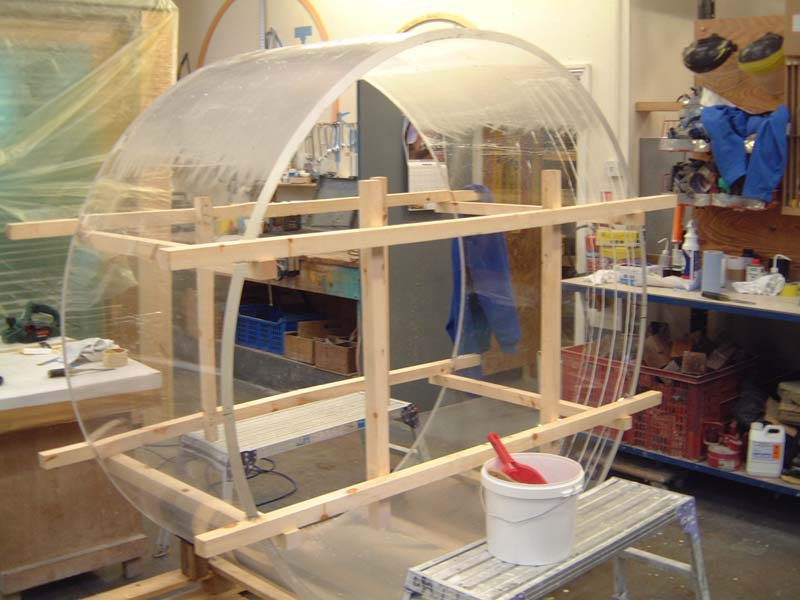 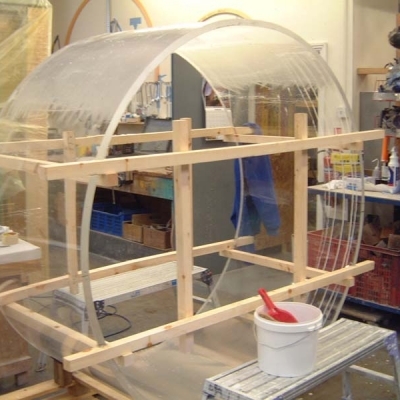 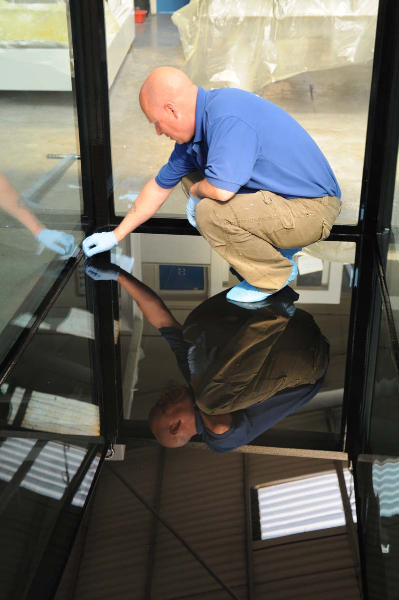 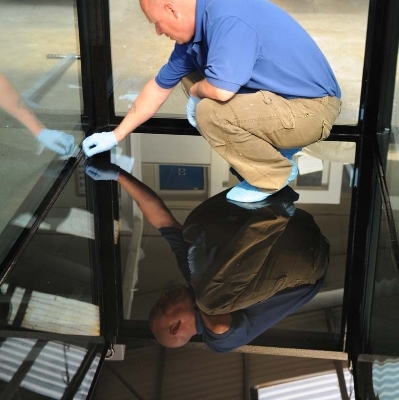 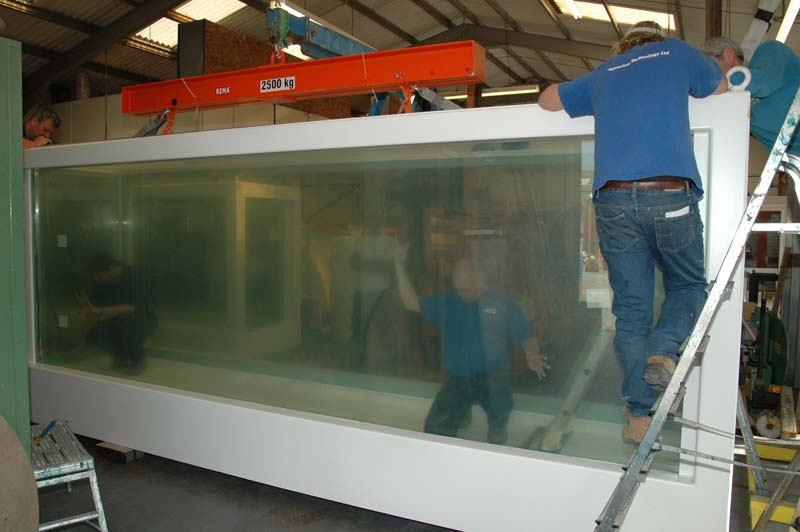 Art & Industrial glazing projects are readily undertaken. 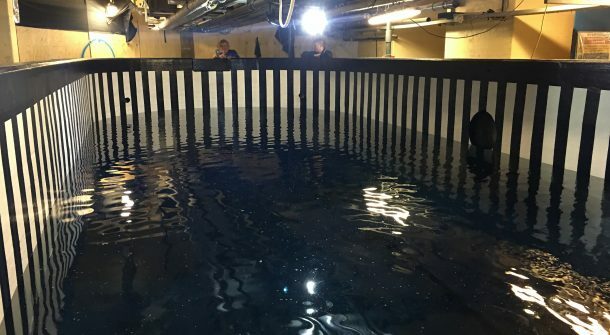 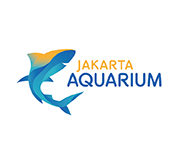 The design, manufacture and installation of industrial and scientific research tanks borrow a great deal from ATL’s unrivaled experience in working for the attractions market. 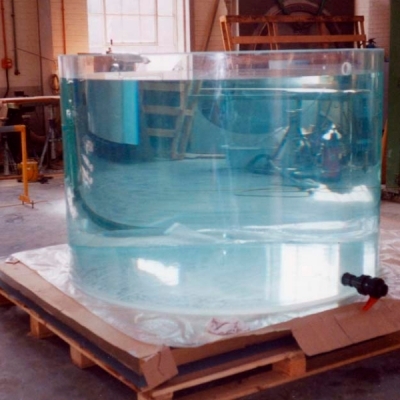 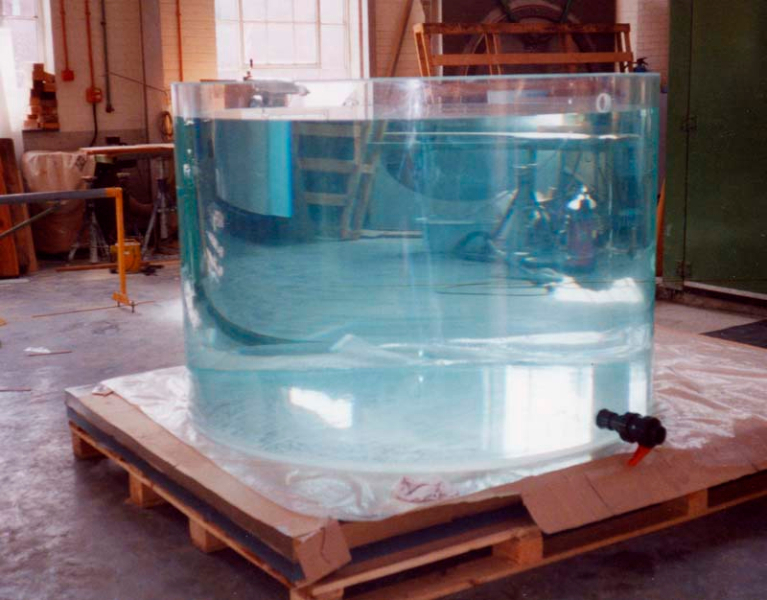 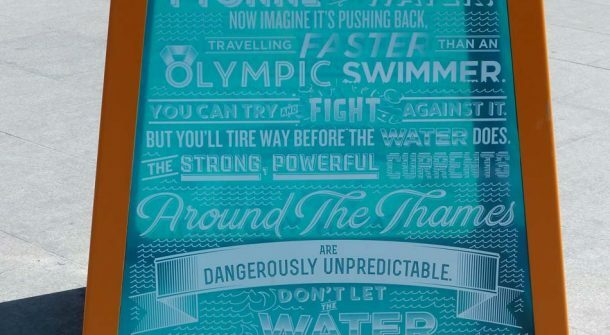 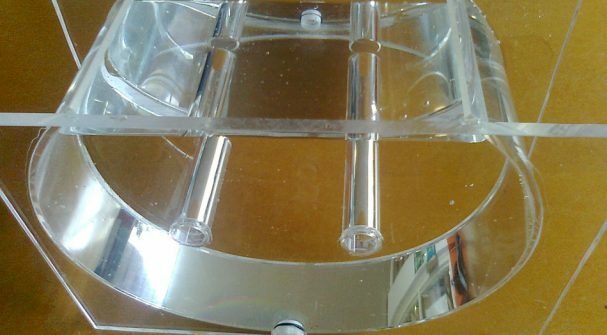 Material choice can be engineered to cope with aggressive liquids as can the material chosen for viewing windows and ports which enable submerged objects and processes to be studied and modeled. 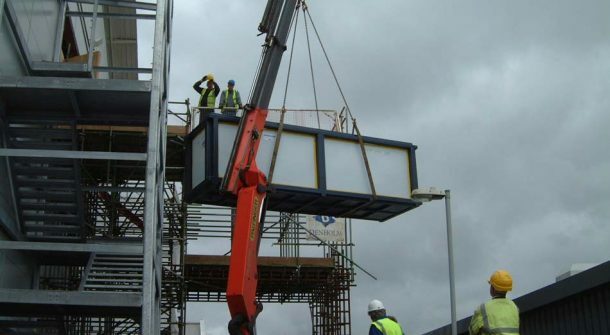 Light weight pre-fabricated structures designed and built to your exact requirements for either long term storage and/or secure transport. 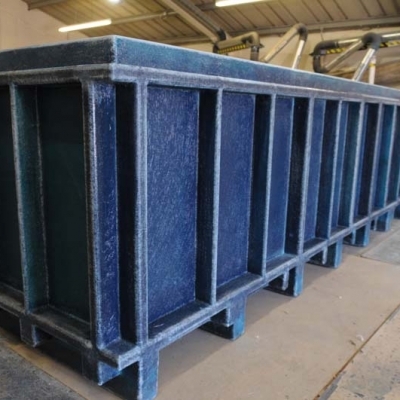 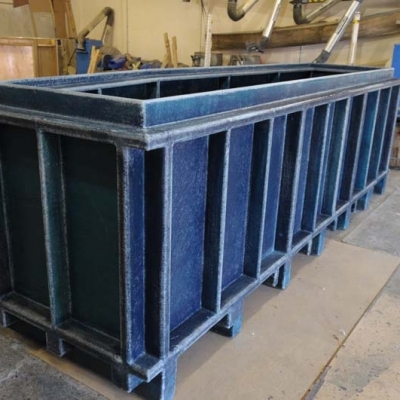 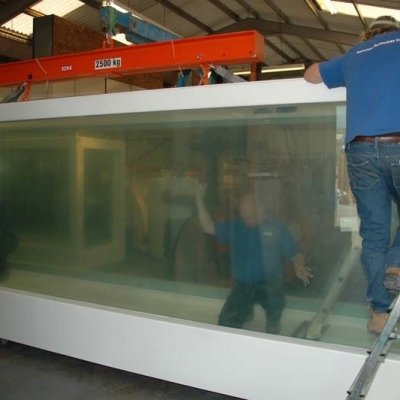 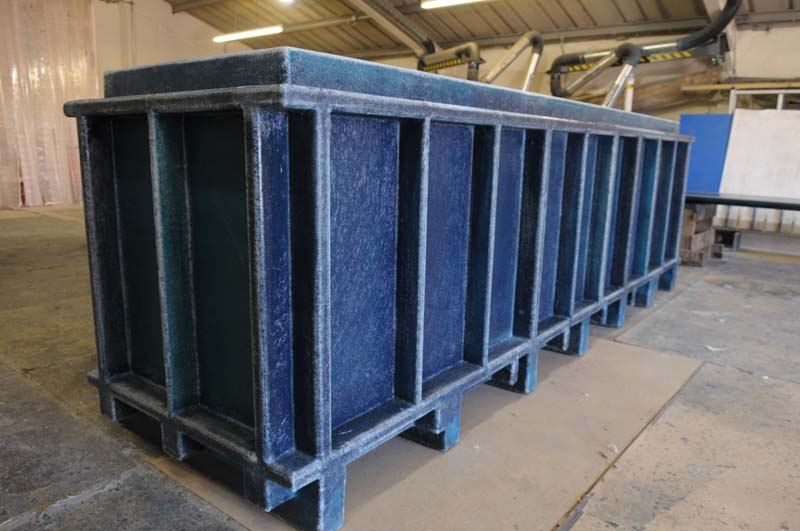 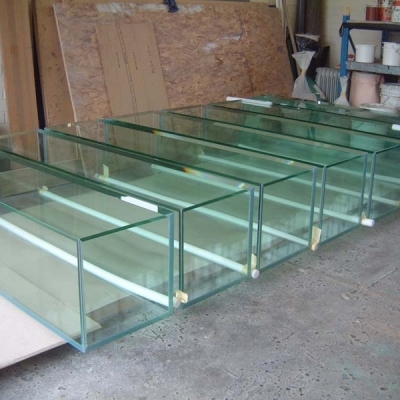 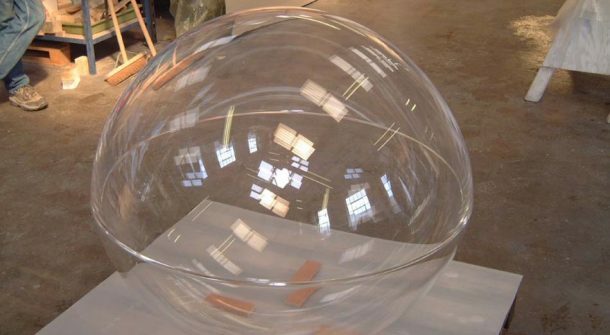 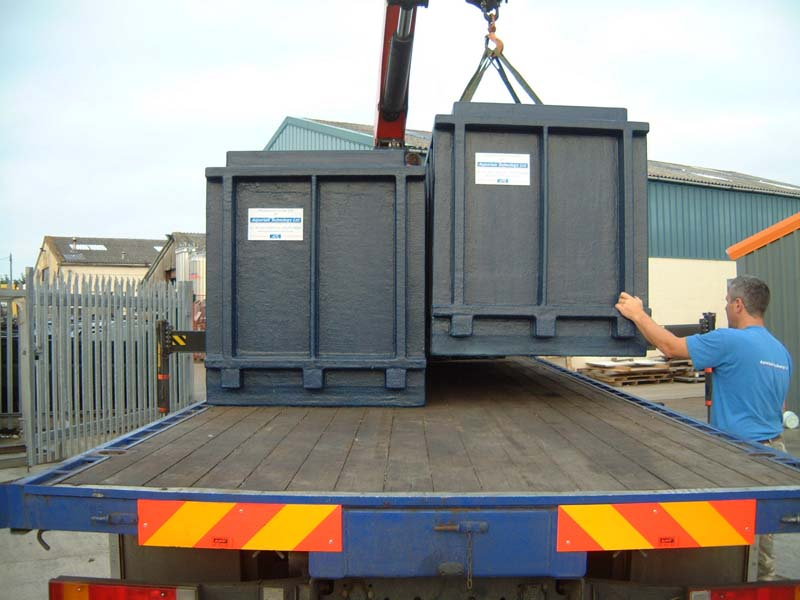 Low maintenance composite materials and very robust construction means our highly specialised bespoke tanks are in great demand, particularly for high value, delicate items which require immersed transport and storage. 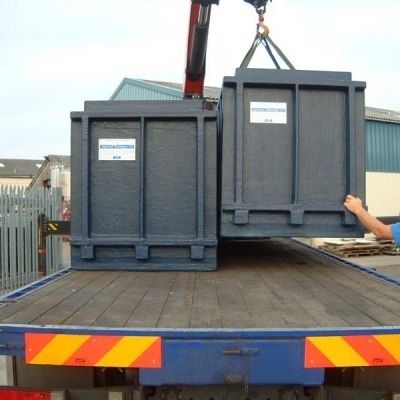 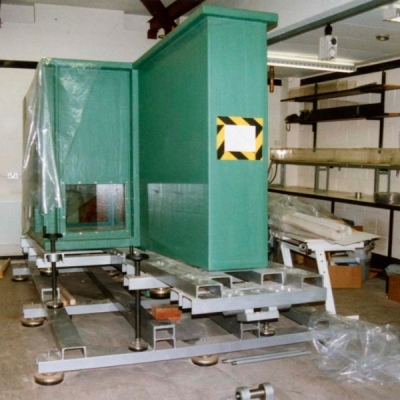 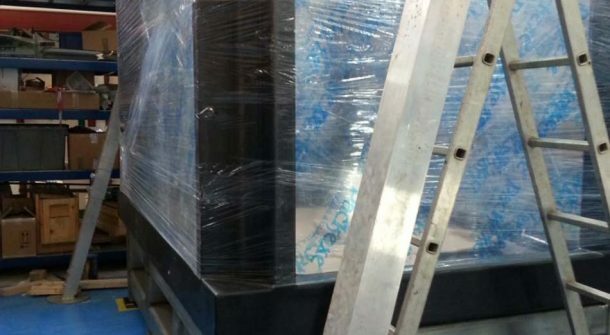 A specially developed removable lid and gasket system ensure absolute integrity for rigorous transport means including air freight whilst allowing safe removal and access for inspection purposes. 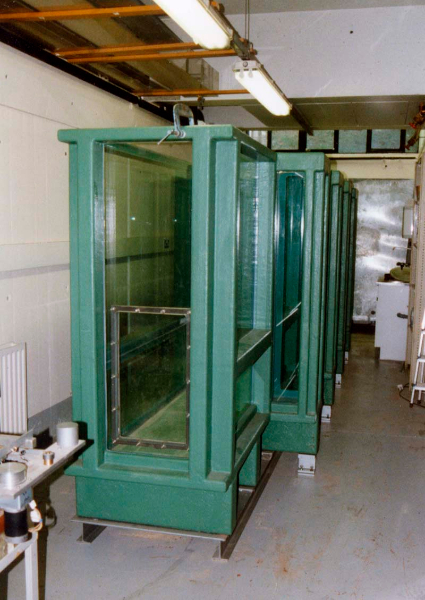 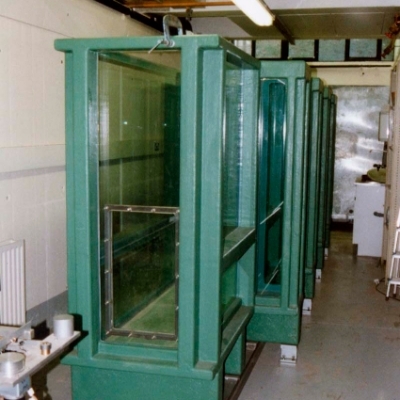 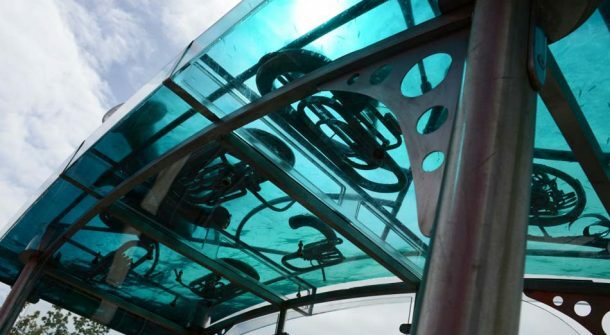 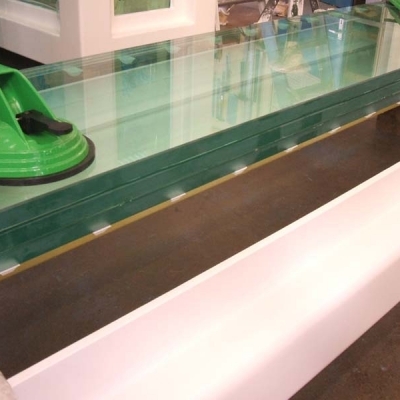 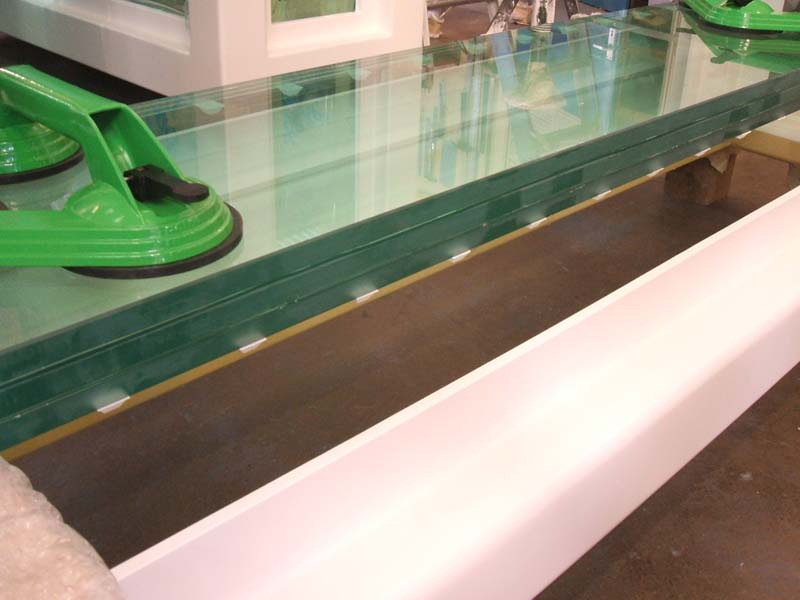 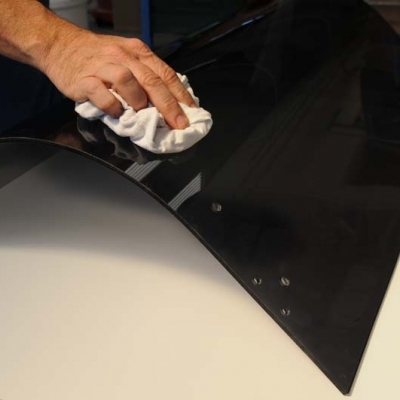 ATL are able to manufacture machine safety guards from cast acrylic sheet, which is available in a vast range of colours, tints and finishes. 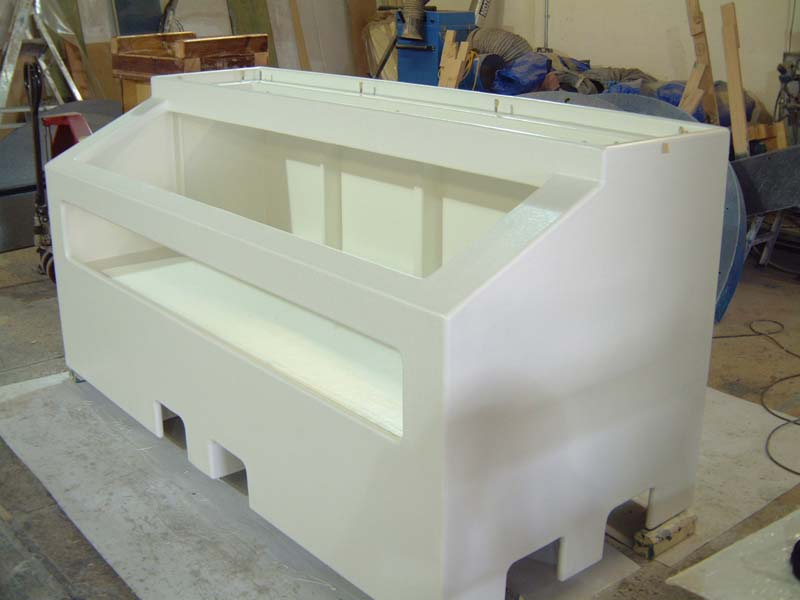 More demanding shapes and forms can be blown or drape moulded to exacting standards and tolerances and include features for catches and hinges to match the client’s machine. 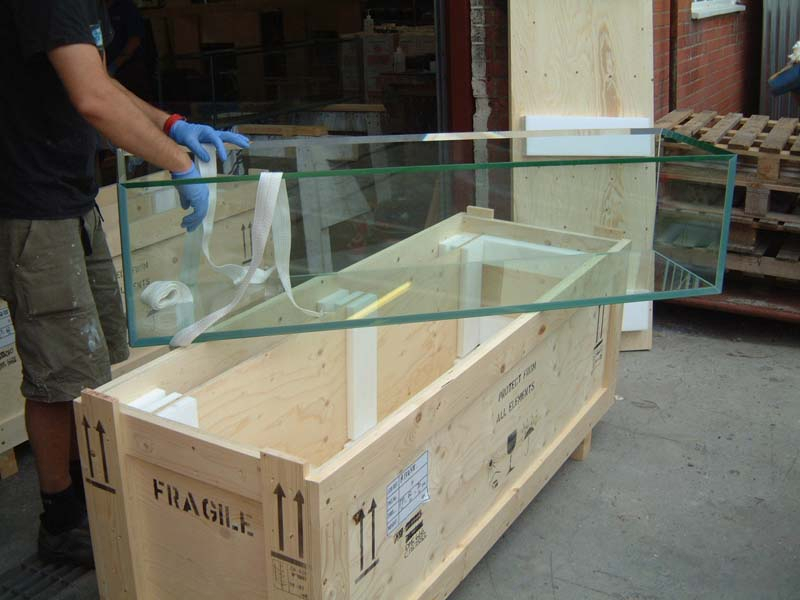 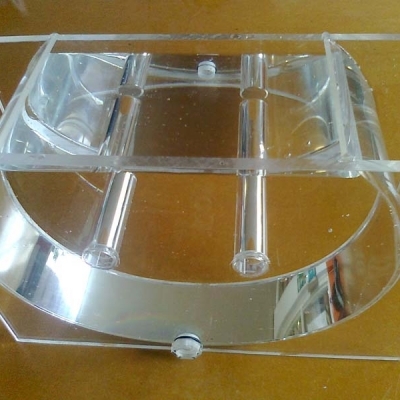 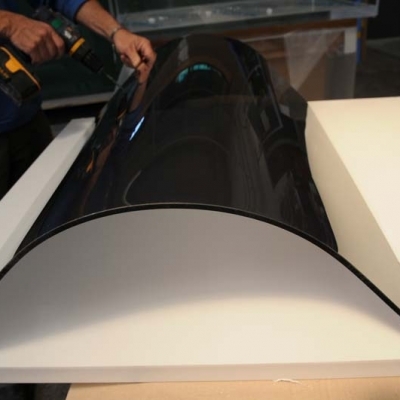 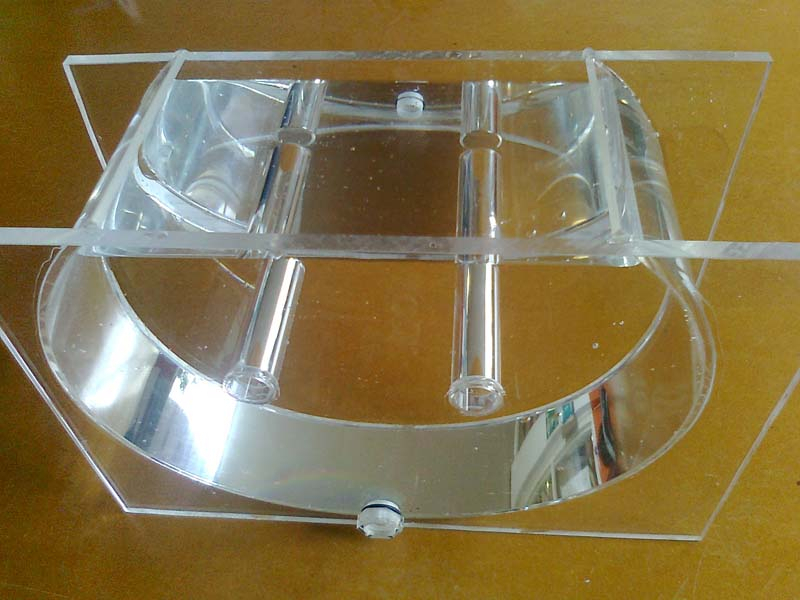 Clear bonded acrylic display cases, which offer uninterrupted frameless viewing, are increasingly in demand for the protection and display of high value items and fragile ‘collectables’. 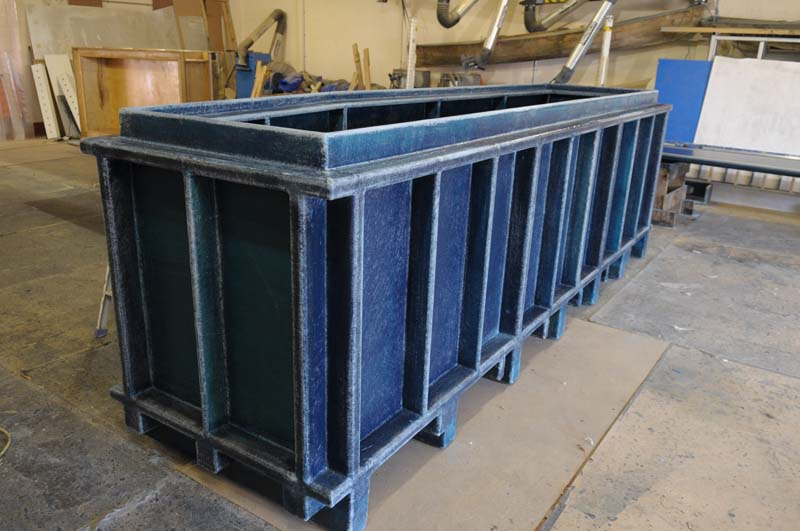 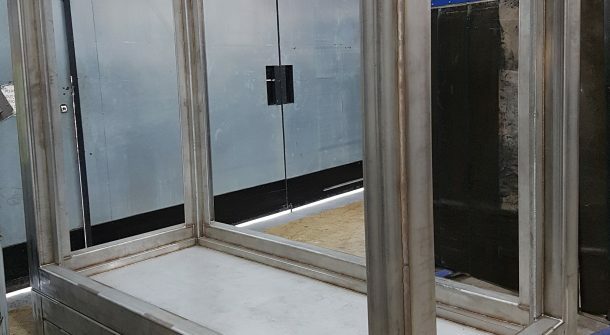 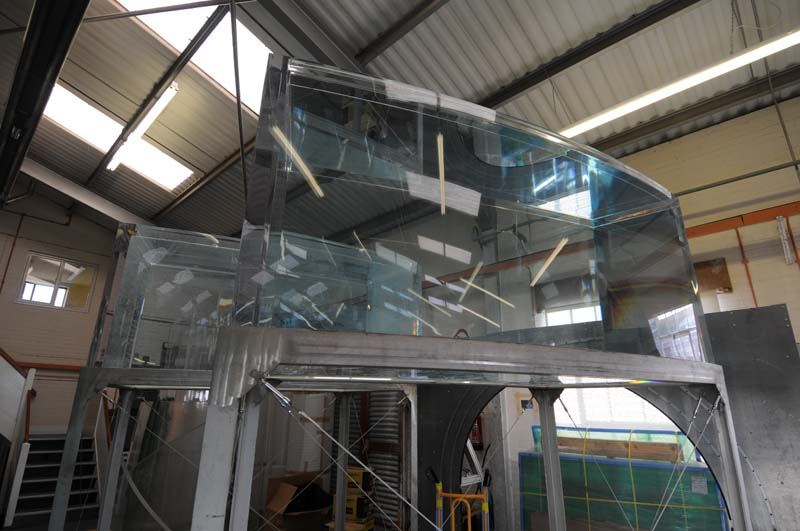 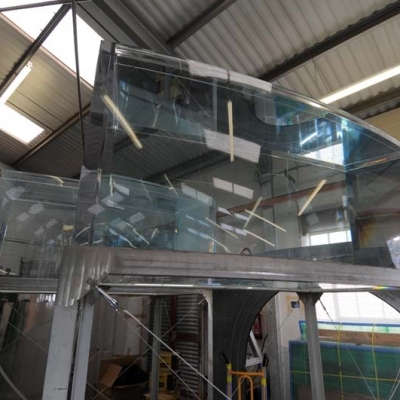 ATL specialise in fabricating these cases on a bespoke basis and offer a full design and consultation service to ensure that every application meets the client’s exact requirements. 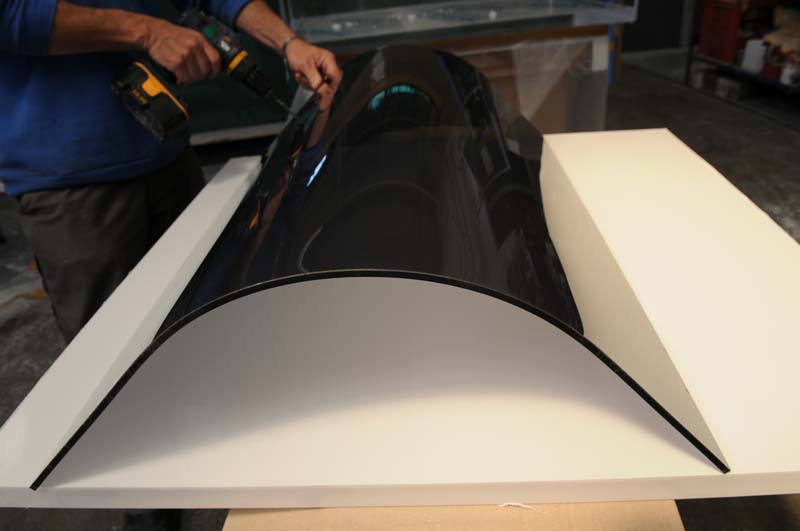 Aesthetic Perfection For High Value Art Installations. 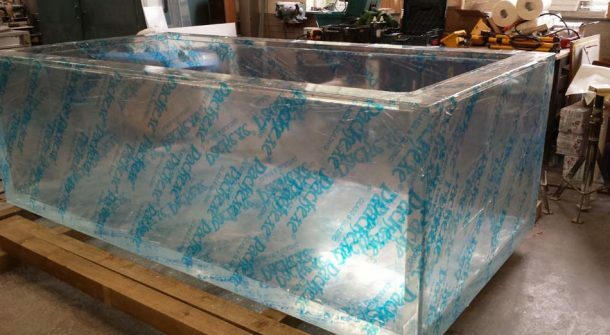 ATL specialise in the design and manufacture of highly secure cases and tanks for the contemporary ‘installation’ art market. 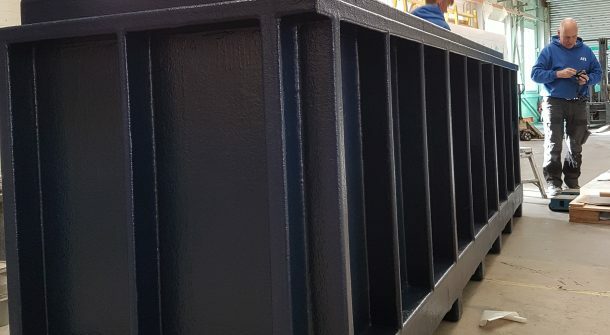 Safety, security and visual perfection are brought together in uniquely consistent solutions for these very demanding applications where finish and durability are vital to the appreciating value of many pieces. 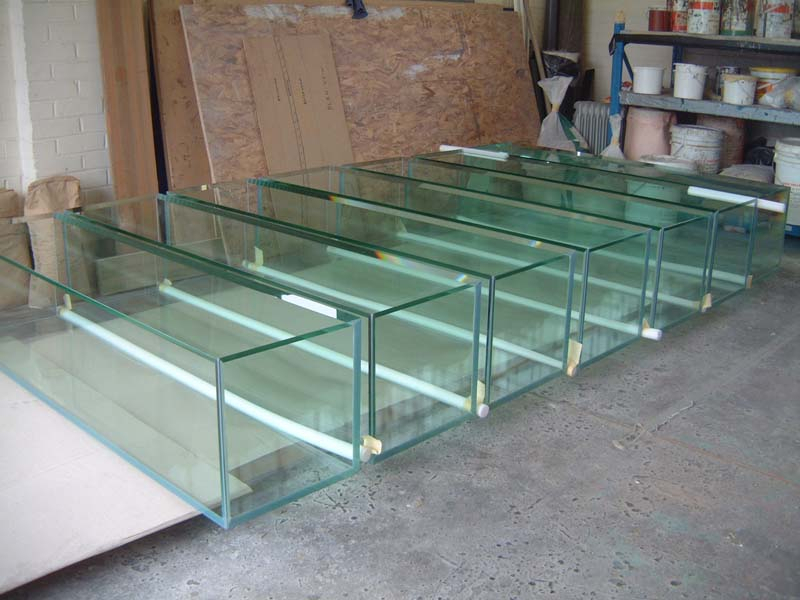 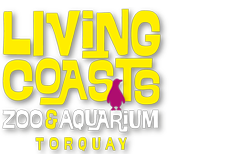 ATL have designed and manufactured cases for protecting and displaying everything from a giant squid to the smallest fossil. 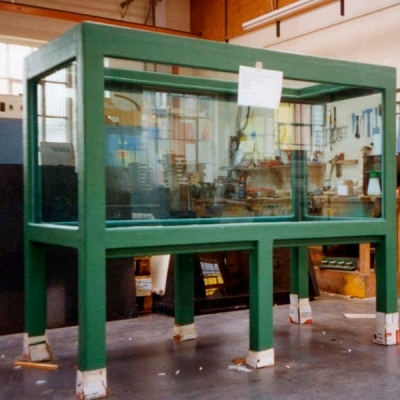 Our bespoke public display cases in both acrylic and glass are designed and manufactured to order and offer solutions for galleries, exhibitors, interactive specialists, advertisers and interior designers. 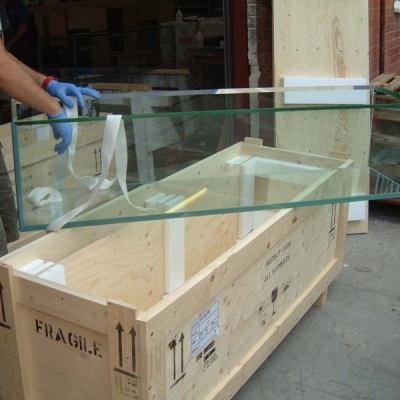 Borrowing many materials and techniques from the aquarium attractions markets ATL’s highly secure museum cases can be designed to contain specimens and artefacts which require constant immersion in a tightly controlled environment. 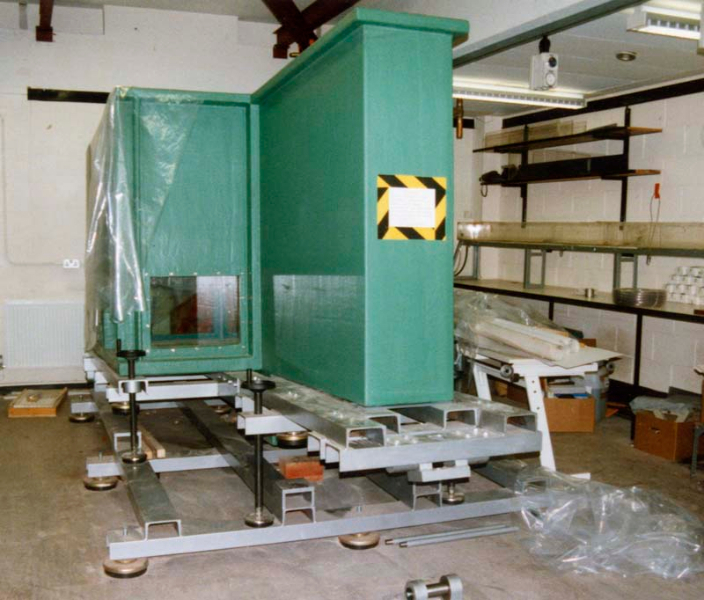 We have successfully provided museum display solutions for applications as diverse as a preserved Coelacanth to a 14th century deck gun recovered from a sunken wreck.